1. They pay you 3% interest for keeping your money and make 20% return for lending it out. 2. Your money loses its value everyday while they do business with it. Here are my personal and practically tested tips on how to save without risk and make money where I will show you the best place to put your money and sleep well at night. I already have a bank account, so where else are you expecting me to save my money? You might have asked yourself this question after reading through my opening piece. Let me show you one simple and little known secret of saving profitably. Ask yourself, what is my present and future cost of living? The cost of living in Nigeria is largely measured by current inflation trends otherwise known as consumer price index – currently at 7.7-9% as released by the Nigeria Bureau of Statistics. In my opening piece, I explained the danger of inflation and how it can make your savings worthless every day. For those you that do not understand what cost of living is, your cost of living is the amount which you will need every day to maintain your current lifestyle. Assuming you spend fifty thousand naira (N50,000) to get all you need in a month, it is estimated that, based on inflation trend, by next year you may need an average of N55,000 to maintain your standard of living. What if your income doesn’t increase proportionately? It’s a big issue you need to think about? My final say, from all these analysis. Is this – The best place to save your money is where you will get a return above inflation rate (9%) annually – your increasing cost of living and still have extra cash for more savings and accumulated interest return to cover future expenses. Here are examples of such saving media. 1. Save your Money in Money Market Instruments. When you put your money in money market via FirstBank Money Market Fund or Aiico Insurance Money Market Fund, you will earn a guaranteed interest equivalent to the money market rate (11-12% annually – better than 3% return on your savings and currently higher than inflation rate) payable every quarter at no risk into your bank account. You can even reinvest it on compound interest. 2. Save and diversify your money in US Dollar denominated Assets. This is a secret most people don’t know. 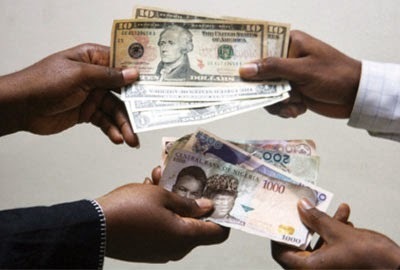 If you have been following the USD/NGN exchange rate for a while, you will see an upward trend in US dollars against the Nigeria Naira. As at when I wrote this report, 1USD is equivalent to N172.3 amidst dwindling foreign reserve and political instability in Nigeria. Assuming you bought $100 when 1USD was N115 that would be N11,500. Now that 1USD is N172.3, you would have made an exchange rate gain of N6000 to give N17,500. I have seen a permanent factor that if not corrected will continue to push the USD/NGN rate higher in long term. 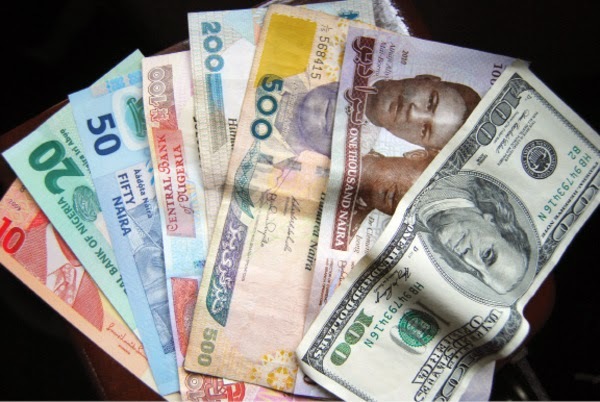 It is advisable that you keep your savings in foreign currency denominated asset that has the potential of going northward in the long term against your local currency. 1. For Money Market Fund, go to any branch of FirstBank Nigeria or Aiico Insurance and request for a Money Market Fund account opening form, fill it and select your investment preferences. 2. For your USD Asset, walk into any bank of your choice, go to the customer service desk and collect a domiciliary account opening form. Click here to learn more about Dom. Account and Exchange rate.